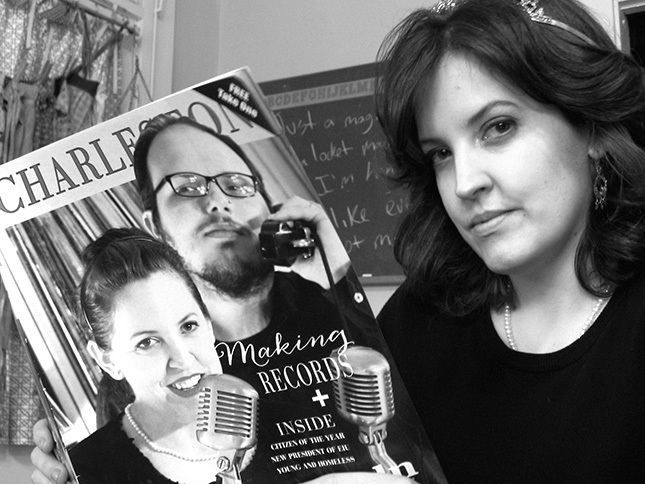 Cavetone Records is a vinyl-only record label from Charleston, Ill. and the purveyors of 100% analog madness. Cavetone began as an all-analog recording studio in 2005, released its first record in 2008 and opened a retail record store called the Sound Bank in 2015. Cavetone Records can be found in independent record stores throughout the United States and on enlightened turntables everywhere. Cavetone Records and our artists have been featured in/on a myriad of print and online publications, television, radio, and audio/visual digital platforms. We welcome requests from all local, regional and national press, regardless of size. Please send all interview requests to CavetoneRecords@gmail.com. Please include your desired interviewee(s) and your deadline. Thee Cavetone Records 8 Year Anniversary Spectacular Finds a New Home in Tuscola, Ill.
Thee Cavetone 6 Year Anniversary Spectacular to Be Held in New Home of Charleston, Ill. The Ex-Bombers Bring Dirtbag Spy Jazz to the Empty Bottle for Duo Duel with the Pack A.D.